Birthday onesies for your bae bae. White Tabloid Paper (11"x17"), but only if you own a printer that can print to this sheet size. *The T-Shirt Transfers listed above are for InkJet Printers. They do offer Laser Jet if that's what you will be using. I'm going to provide instructions below on creating the boxed assortment of white and grey onesies you see above. 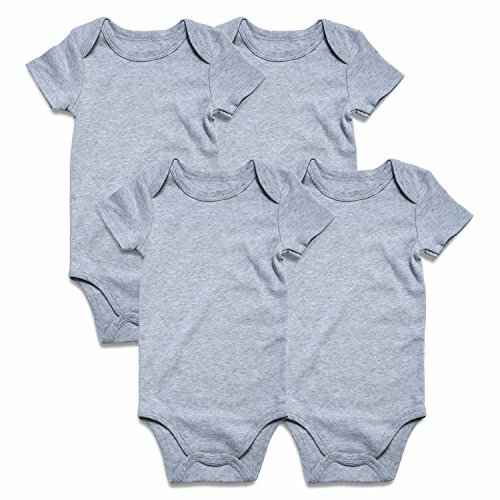 However, If I were to do this again, I would do all grey or non-white onesies using only the Avery Dark T-Shirt Transfers. They look more luxe and there's less risk of the ink running after the first wash. 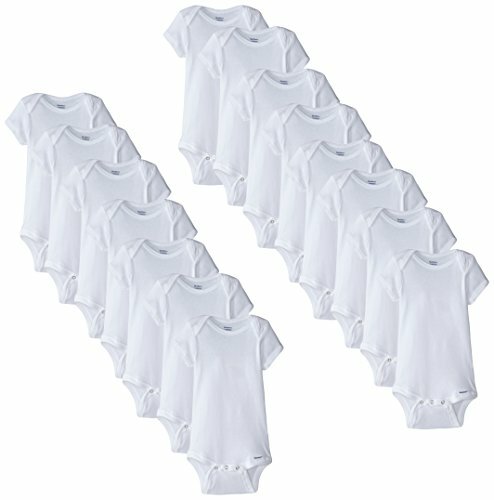 If you're using a mix of white and non-white onesies like the assortment pictured above, you'll want to download my Assorted Transfers. If you plan to stick to my suggestion of using all non-white onesies, you'll want to download my Dark Transfers. 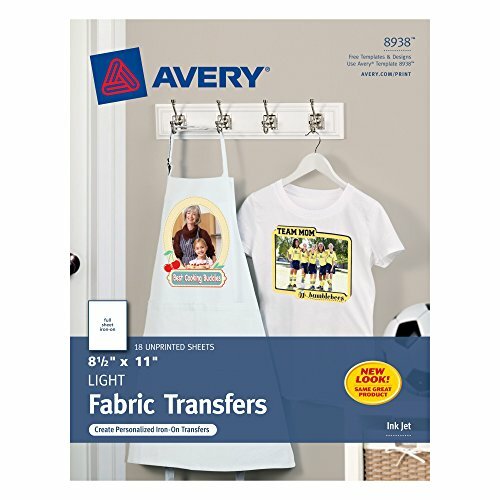 If you opted to stick with the Assorted Transfers above, you'll want to print the first page on the Avery Light Transfer Paper and the second page on the Avery Dark Transfer Paper. You'll notice that the light transfer imagery is reversed. We'll get to that in a moment. If you went the Dark Transfer route, you'll just need to print both pages to the Avery Dark Transfer Paper. 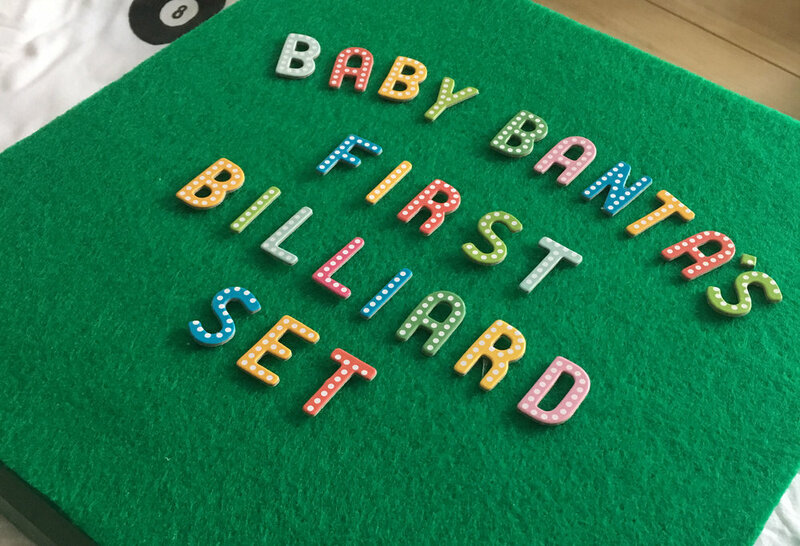 For those of you using the Assorted Transfers for a white and non-white assortment of onesies, cut out each billiard ball with a very narrow margin around each shape. If you're using any or all Dark Transfers for print on non-white onesies, cut narrowly inside the edge of each billiard ball so there is no white edge once applied. Cut inside the grey dielines on the second page so that they are no longer visible once finished (you don't want those lines to show once applied).
. Set the iron to cotton setting and preheat for 5 minutes. Iron the pillowcase and garment to remove wrinkles. Avoid leaving the iron face-down on ironing surface for extended period of time as it may result in injury or damage to the project or ironing surface. If you are making an assorted set of white and non-white onesies, you'll want to follow all instructions below as you'll be using both light and dark transfers. the iron when finished. After ironing, remove your garment from the heating area and allow to cool for 2 minutes. 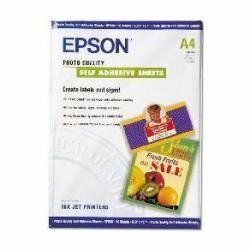 Smoothly and slowly peel backing paper away from corner to corner. If the image begins to lift, re-iron image focusing on lifting areas. Allow to cool once more before attempting to peel again. For Dark Transfers on non-white fabric: Place transfer design face up on garment in desired location. 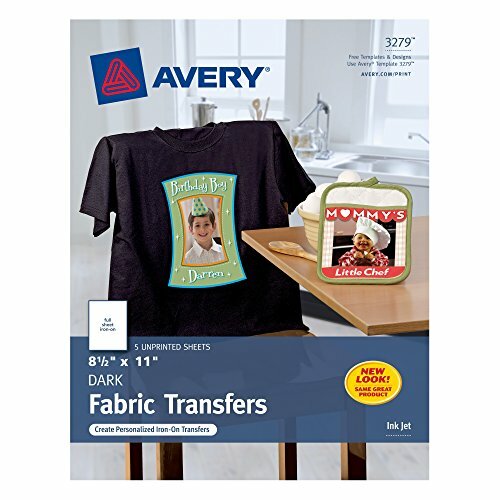 Cover transfer with tissue paper provided in the Avery Dark T-Shirt Transfer Pack. 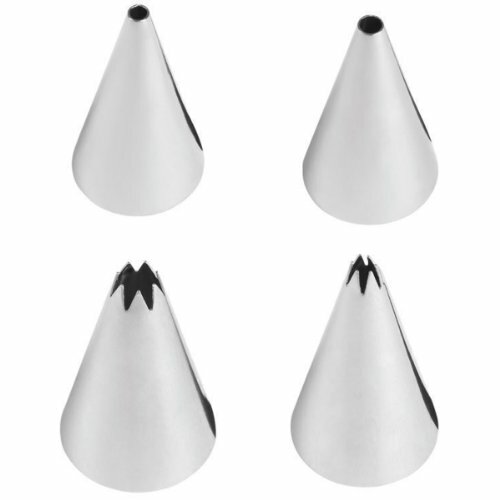 Iron over the tissue-covered transfer, applying firm pressure slowly from left to right and then from top to bottom. Turn offiron when finished. After ironing, remove your garment from the heating area and allow to cool for 2-3 minutes. 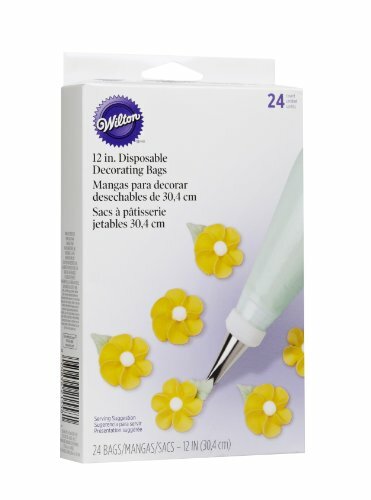 Smoothly and slowly peel tissue paper away from top corner to bottom corner. If the image begins to lift, re-iron image with tissue paper still applied, focusing on lifting areas. Allow to cool once more before attempting to peel again. I recommend using a 12x12x6 box. There are plenty of fun things you can do to decorate it. 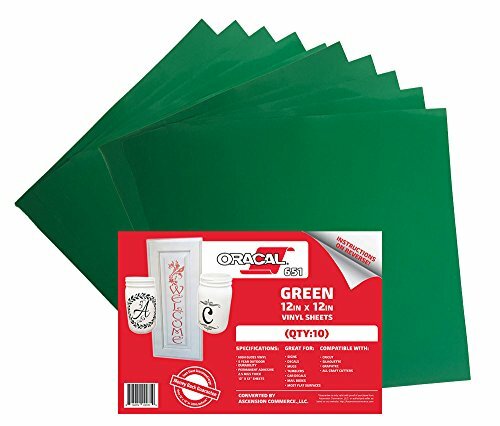 I wanted to mimic a pool table surface so I went to Michael's and found some materials. Using 12"x12" Oracal Self-Adhesive Vinyl Sheets, I lined the exteriors of the box top and bottom. I then glued a sheet of 12"x12" green felt to the top of the box top with a hot glue gun. I was careful only to glue the edges sparingly so that the glue did not bleed through the felt. 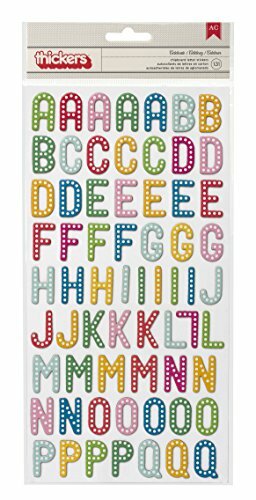 Using the glue gun again, I applied American Crafts™ Thickers™ Multicolor Chipboard Alphabet Stickers. For the box interior, I created a Striped Green Liner Paper and printed it twice. My printer allows me to print tabloid sheets at full bleed. If your printer can't print at that scale, I recommend finding a coordinating tabloid sized paper or gift wrap. I then taped one short edge of the liner paper with the pattern side face down to the middle of the box interior's bottom side. I repeated the same with the other liner sheet so that their edges met at that middle point. I rolled the onesies and placed each one side-by-side in the newly lined box. I folded the liner paper inward to envelop the onesies and sealed it closed using a homemade 8 Ball Sticker. I printed mine to an Epson Self-Adhesive Sheet and then cut it out, but you can always print it to paper and use double sided tape instead. Avery recommends you turn the garment inside out and machine wash cold separately from other clothes. Use color-safe detergent and remove promptly from the washer. Colors may bleed if left wet too long. Do not use bleach. Tumble dry low with garment turned inside out. Do not iron directly on transferred image after it has been applied to the garment. The transferred image is not intended to withstand stretching other than normal wear and tear. Candy for decorating. Clowns love candy. Party city is my favorite place to get candy because they package colors separately. 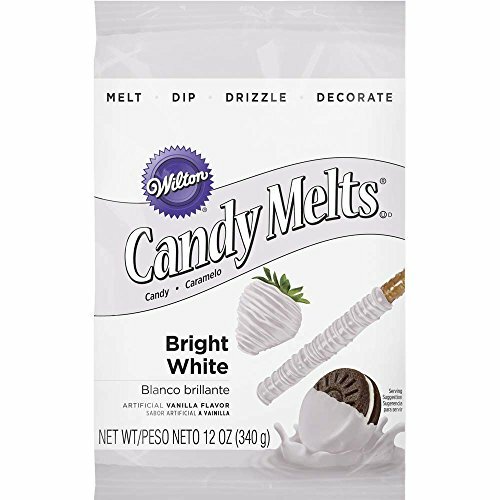 They also have the best assortment of Candy Melts. I followed Cake Journals post about How To Make Royal Icing for Piping and Flooding, but I substituted the lemon with Vanilla Extract. Frosting must be stiff and thick (sorry, mom!) 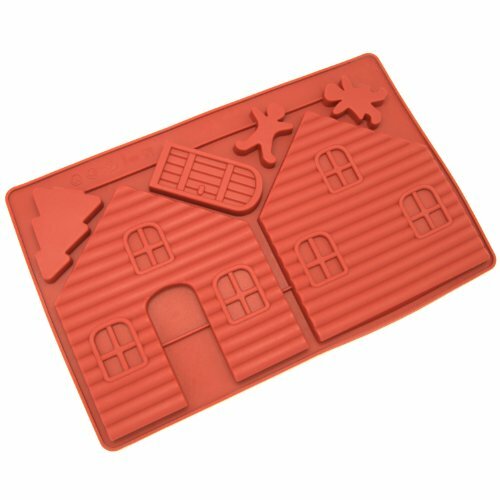 because the house will be impossible to assemble with runny icing. The Pioneer Woman has the best picture tutorial on How to Fill a Piping Bag. The coupler she mentions isn't necessary so don't fret if you don't have it. I never use one. If you want your house to be perfectly centered on the Cake Circle, I recommend using a ruler and a pencil to mark where the sides should be placed. 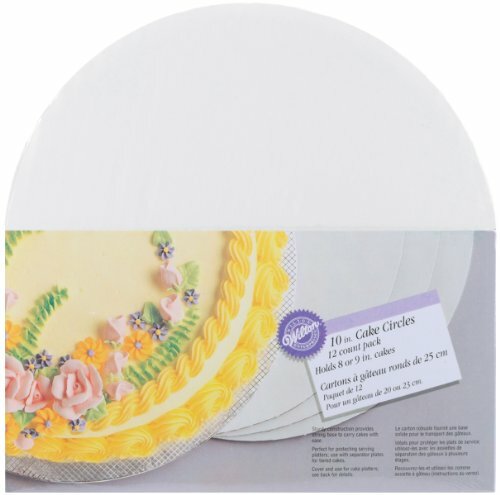 Start by piping the bottom edge of the front house piece and gluing it to the Wilton 10-inch Cake Circle. Prop it up using a small box (I use the Confectioner Sugar Box) while piping the connecting side and bottom edge of one of the side pieces of the house. Attach the side piece to the board and back side edge of front piece. Repeat the same for the other side piece. Attach the remaining back piece of the house by piping its bottom edge and the two remaining unfrosted edges of the two side pieces. Let the frosting dry completely for at least an hour before adding the roof. The roof is tricky because it has a tendency to slide even when you have thick frosting. I let one side dry using cups or any kitchen items to keep it in place before I add the second side. Once the house is assembled, make sure it is fully dried before decorating because the weight of the candy can lead to collapse if it's not ready. I tend to assemble the house the day before I decorate. Apply your candy using the remainder of the Royal Icing.